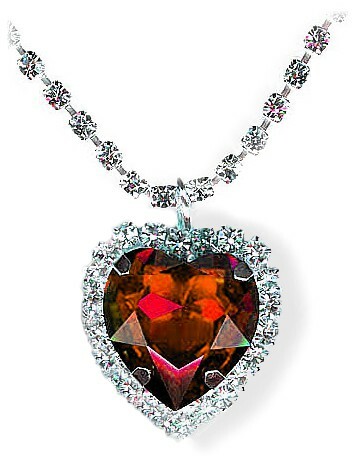 Utterly divine ruby red Swarovski Crystal Heart, impeccably cut so that as you look at the heart its many sun-cut faces reflect light from all angles and it dazzles to perfection with every tiny movement. All surrounded by small crystal clear Swarovski crystals. Totally mesmerising and a real attention grabber this beautiful, big, bold piece is perfect for everything from formal occasion to barbecues. And whatever you're wearing, you can guarantee you'll look and feel fabulous because it lifts any outfit and can't help but attract mega-attention! Eyes will pop, jaws will drop as it becomes a major talking point wherever you go. Set on a Swarovski Crystal "chain". Heart: 4.5cm x 4cm. Necklace: 42cm plus 12cm extension.